Hackers create and send out malicious programs technically termed as malware to infect individual computers or an entire organization’s network. Such malicious programs promptly spot on the grey areas in the system or network and infiltrate to hijack, corrupt or manipulate data. A malware detection scan at the right time can prevent data theft, extortion or the crippling of network systems. Malware is of different types and each has its own application area and focus. The most common variations are Ransomware, Worms, Trojan, Rootkits, Adware, and Spyware. It is only through malware detection can your system remain safe from hackers who will try to compromise your data or profit from your information. Generally, certain signs and symptoms indicate a potential malware-infested PC. The computer or network runs slower-than-usual, the frequent occurrence of lots of pop-ups, and other mysterious activities that are totally new. It’s possible your system has been infected by malware and symptoms will show even when the latest antivirus program is installed. Even before you get to the bottom of the issue, here are a few things that you need to do. They are Enter Safe Mode, Delete temporary files, Download malware scanners, and lastly, run a scan with Comodo Malware detection software. What is malware detection software? A malware detection software is designed to fight off malicious programs. The malware detection software is installed on a computer with the sole purpose of detecting the system malware infiltration and infection type. Malware detection software accomplishes this in three ways: malware is detected on the computer, carefully removed, and the damages made to the computer that the malware may have caused are cleaned up. A few premium programs, like Comodo Anti-virus, have malicious website blocking and real-time protection. This means that the anti-virus constantly runs checks in the background and when anomalies are identified, it takes countermeasures automatically. A worm is a malicious software which similar to that of a computer virus is a self-replicating program, however, in the case of worms, it automatically executes itself. Worms spread over a network and are capable of launching destructive attacks within a short period. Unlike a computer virus or a worm – the trojan horse is a non-replicating program that appears legitimate. After gaining your trust, it secretly performs malicious and illicit activities when executed. Hackers make use of trojan horses to steal a user's password information, destroy data or programs on the hard disk. It is hard to detect! Spyware secretly records information about a user and forwards it to third parties. The information gathered may cover files accessed on the computer, a user's online activities or even user's keystrokes. Adware as the name interprets displays advertising banners while a program is running. Adware can also work like spyware, it is deployed to gather confidential information. Basically, to spy on and gather information from a victim's computer. A rootkit is a malicious software that alters the regular functionality of an OS on a computer in a stealthy manner. The altering helps the hacker to take full control of the system and the hacker acts as the system administrator on the victim's system. Almost all the rootkits are designed to hide their existence. A computer virus is a malicious software that hackers design to multiply. The computer virus attacks and infects existing files on the targeted system – it spreads by itself into other executable code or documents. The sole purpose of designing a computer virus is to infect vulnerable systems, gain admin control and steal user confidential data. Simply put, cybercriminals create computer viruses with wicked intent and prey on online users by tricking them. Basically, a computer virus spreads through emails - opening the attachment in the email, visiting an infected website, clicking on an executable file, or viewing an infected advertisement can cause the virus to spread to your system. A good malware detection software will easily point out the hiding code in a computer. As the name suggests, Keylogger is abbreviated as Keystroke Logger - it is the singly coined word for the two words. It is a malicious code designed by online criminals with the intention of seizing whatever the user types on their system. Keyloggers could work as a small external device connected to the PC and keyboard – it is never easily recognizable. Sometimes, the attack comes in the form of a malicious code which is unrecognizable and hidden. The online criminal aims in stealing login credentials, passwords, CC/DB number and verification code, entire search history, entire chat history, details of Documents Opened and Worked on, and screenshots of your activity. The damages caused by a keylogger attack can turn out to be irreversible. It is important to be watchful of such threats and using good malware detection can solve the purpose. Phishing is a type of social engineering attack. The hacker sends out fraudulent communications to users and gets away with the user personal details by tricking them. The Phishing attacker masquerades as a trusted entity tricks their victims into opening a fraudulent email, instant message, or text message that appear to be coming from a reputable source. Spear phishing is an email-spoofing attack. It is aimed at a particular organization or individual, attempting illegal access to sensitive information. Spear-phishing efforts are not just carried out by some random hackers, however, carried out by perpetrators out for trade secrets, financial gain, or military information. A perfect malware detection software would easily detect these nasty tricks in a jiffy. When a malware takes controls of an internet-connected device, it becomes a botnet. With doing a malware deduction it is hard to botnet infection. A botnet infection can control servers, mobile devices, PCs, and the internet of things. Mostly, botnets aid in sending out spam emails to all the contacts on the address list, generate malicious traffic for distributed denial-of-service attacks and engage in click fraud campaigns. A bot is a self-governing program on a network (especially the Internet) which can interact with systems or users, particularly one created to act like a player in some video games. The words ransom-malware is coined as a ransomware which is malicious software that threatens to delete or deny access to data, once it takes over the computer. Usually, the hacker demands ransom usually through cryptocurrency or credit card in order to restore the access to the files. 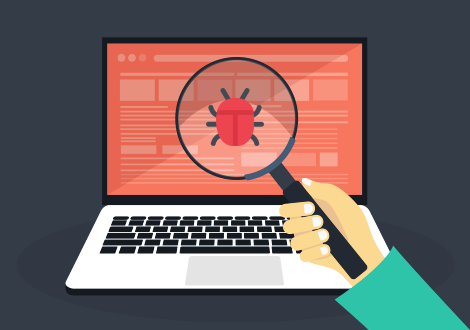 A good malware detection can reveal the hidden codes without any delays. How do I scan for malware on Windows 10? Windows 10 Microsoft Safety Scanner tool will help you in malware detection on Windows computers. Download it and run a scan to find malware. For viruses, Comodo Free Antivirus is a robust software to find malicious programs. It is designed and developed to effectively identify and filter out the unwanted malware entering your system or network. To know more check our official page!